What is Asphalt Crack Sealing? Asphalt Crack Sealing is an effective method to repair the cracks that form in asphalt thanks to fluctuations in temperature. Asphalt Crack Sealing is both effective in its results, but in it’s cost too. Repaving an entire road every time it cracked is just not feasible. This offers an easy solution to the issue. Asphalt cracks due to fluctuations in temperature. When it’s hot the asphalt expands, and when it cools the asphalt relaxes. This constant motion causes the asphalt to separate and form cracks. The issue isn’t the cracks itself, but these cracks allow moisture to entire the base of the asphalt, which if left untreated can compromise the asphalt, costing a lot more in the long run. 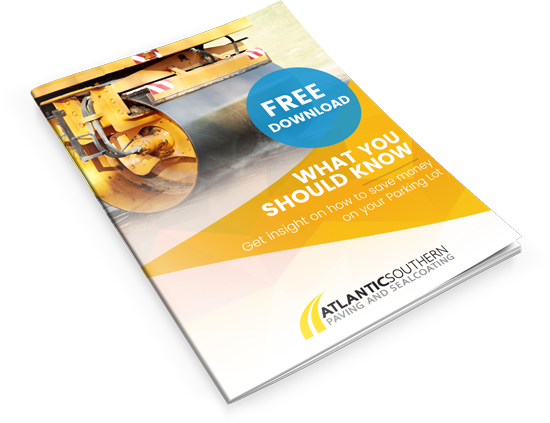 What Are The Benefits of Asphalt Crack Sealing? First we blask all of the debris out of the crack, allowing the sealing material to better adhere to the asphalt. After that we bring a sealing rubber material and apply it along the cracks, while using a rubber blade tool to form a watertight seal. Some cracking is too extensive and might need a different process. 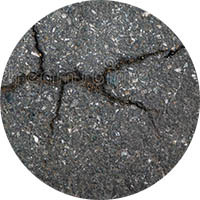 If the cracks have become what is called “Alligator Cracking,” this kind of cracking allows large amount of water into the subbase, unfortunately this means that the subbase of the asphalt might be compromised. This is a lot more serious than just standard Asphalt Crack Sealing. If you have this issue, please call in and speak to one of our specialist. They’ll be more than happy to assist you and even send out a technician to more accurately assess the damage to the asphalt.